Ingrid’s work is often looked at with seriousness and contemplation, but many of her pieces begin with a humorous twist. 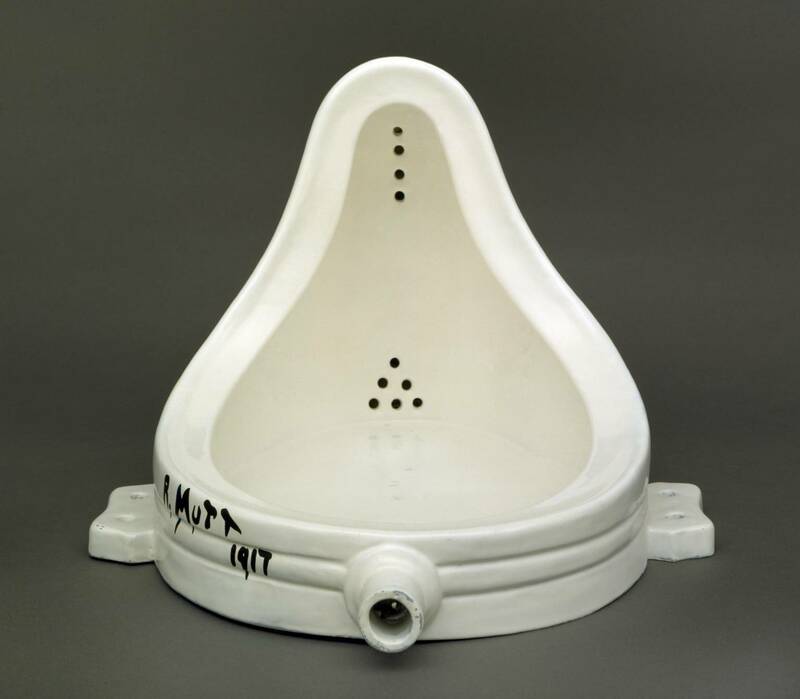 In the Royal Flush series, Ingrid was inspired by Marcel Duchamp’s seminal work, Fountain. An upside down urinal signed simply, “R. Mutt, 1917,” it has become one of the most important works of the 20th Century, opening the door for Pop, Conceptual and other art movements. Ingrid decided to take a more sideways, and perhaps literal view of Duchamp’s work. 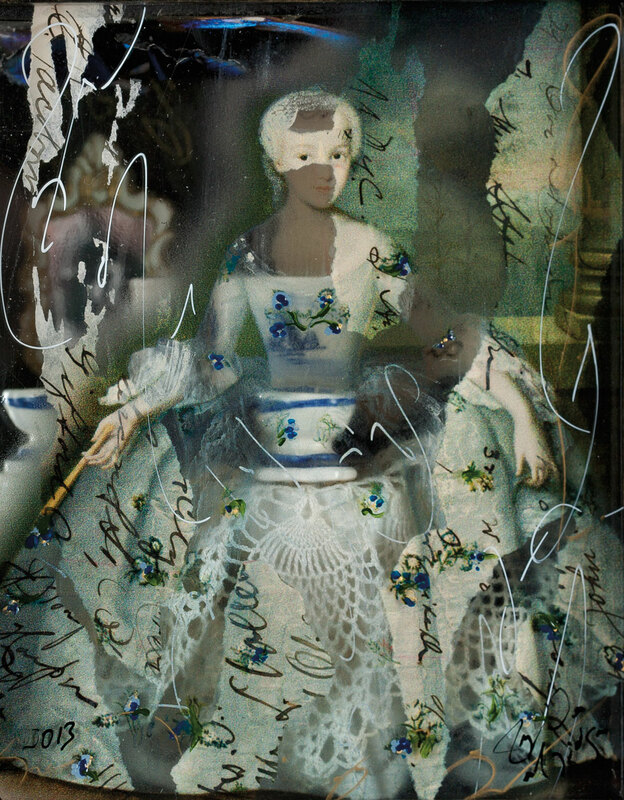 In the Royal Flush series, Ingrid has placed transparent images of kings and queens in front of antique toilets. “I think it gives us perspective on the concept of royalty, that we really are all the same. Certainly we all have to use the toilet no matter how important we think we are.” Ingrid says. The first piece created in the series, “Homage to Duchamp” is an extraordinary work. 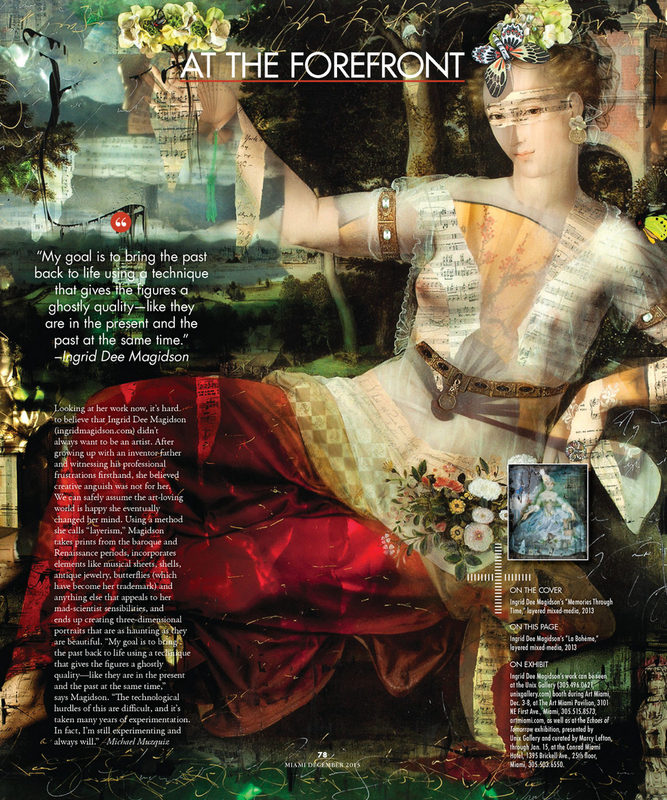 Using a strategically placed mirror, the viewer is able to see behind the main subject into the room beyond. When Ingrid finished the work, she realized it was unique, fell in love with it and refused to sell the piece even after several generous offers. 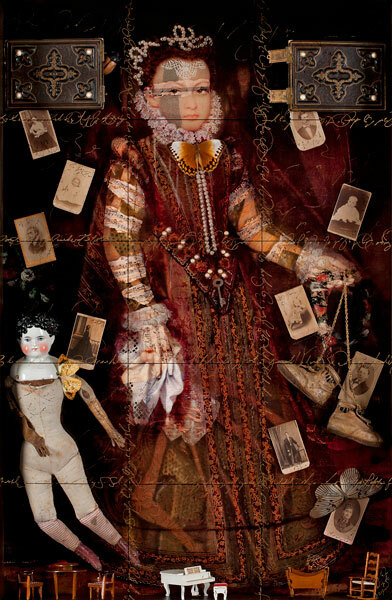 Royal Flush is a play on Velasquez’s famous portrait of Princess Margarita as a child. 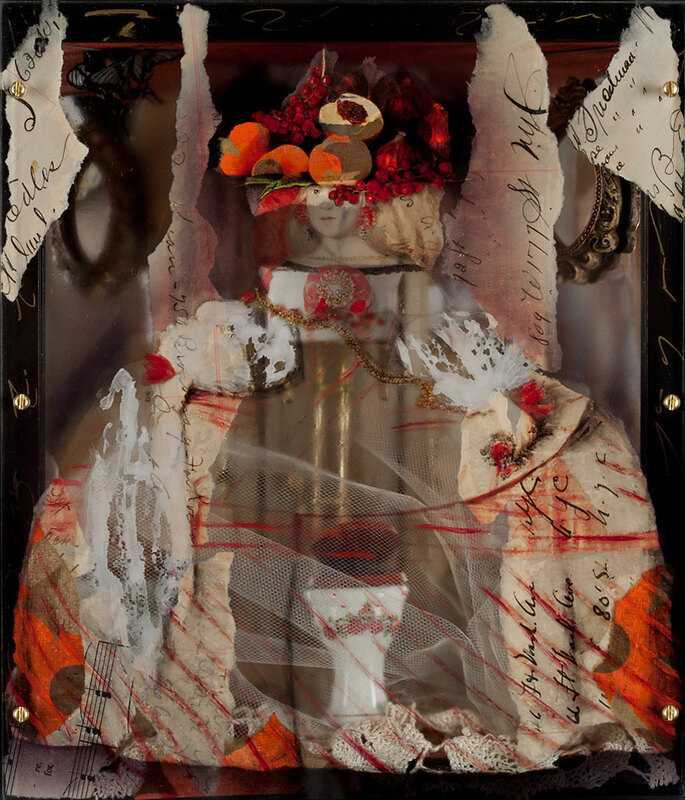 In it, the future queen has a basket of fruit on her head and an antique doll’s toilet emerging from her enormous dress. Describing it here, one would think it would be funny or satirical at the very least, but in reality, the work is rather poignant. The girl’s sad, serious eyes give us a glimpse into the rigid life ahead of this little girl. Maybe that’s not funny at all. 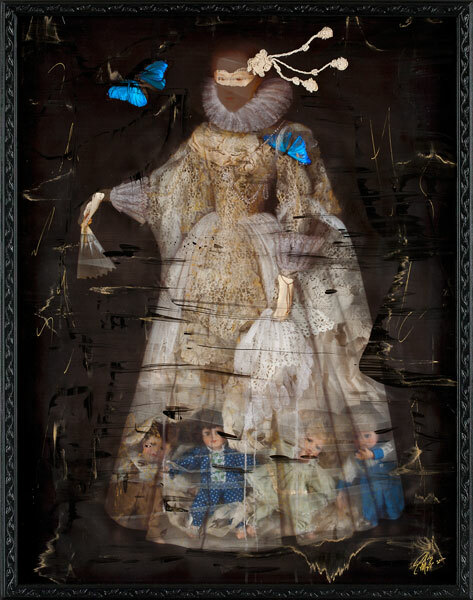 You can see this and several other works by Ingrid Dee Magidson at Art Silicon Valley – San Francisco October 9 – 12, 1014. For more information about the exhibition times and directions, click this sentence. 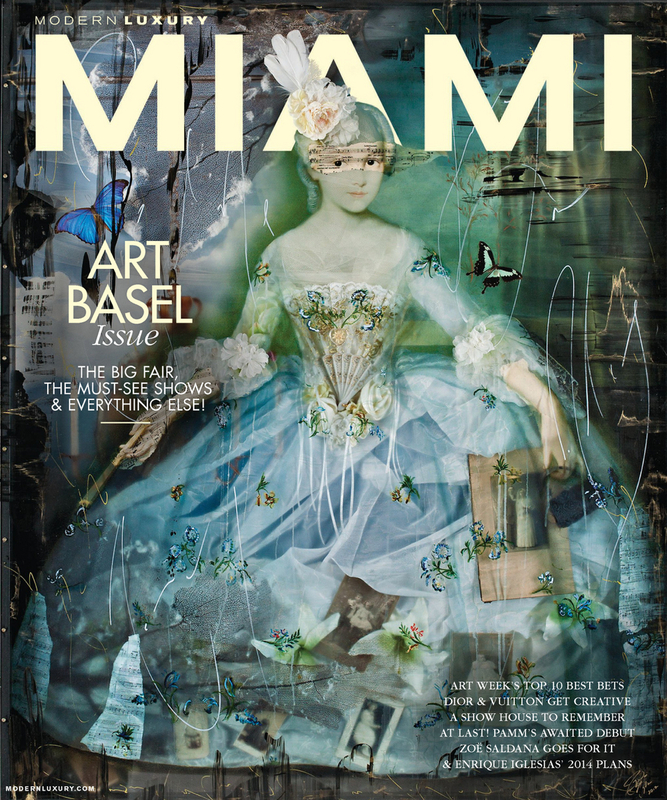 Ingrid is honored that Miami Magazine has chosen Memories Through Time as their cover image for their December issue. 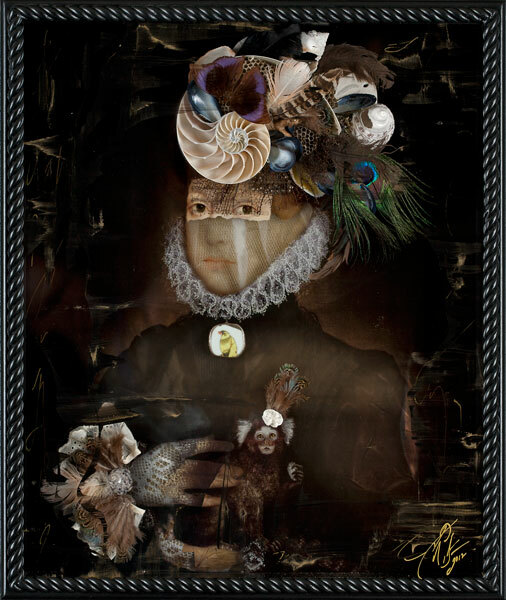 Ingrid’s work will be exhibited at Art Miami, represented by Unix Gallery. Art Miami exhibition dates are December 3 – 8 and is located in the Midtown Miami complex of the renowned Wynwood Arts District. And if that wasn’t enough, Ingrid’s work is also being featured at the beautiful Conrad Miami Hotel on Brickell Avenue in Miami through January 15th. Pretty exciting! The exceptional Unix Gallery of New York, London and Miami just finished a fabulous weekend exhibiting at Art Southampton. Ingrid was well represented with three works among their outstanding contemporary artists. Take a look at this recently added video of Ingrid and her work at Art Miami, December 4 – 9, 2012. It includes a brief interview with the owners of the Unix Gallery who represent her work there. Under 2 minutes. Enjoy!